Chestnut Nature Park is located on the eastern end of Chestnut Avenue. Skirting the Central Catchment Nature Reserve, the nature park serves as a green buffer for the reserve. There are two areas to Chestnut Nature Park – Chestnut Nature Park (South) and Chestnut Nature Park (North). Chestnut Nature Park (North) is about 64 hectares and opened on 25 February 2017. Together with the southern portion opened last year, Chestnut Nature Park now totals 81 hectares, making it Singapore’s largest nature park to date. As part of the ongoing habitat enhancement programme to augment NParks’ biodiversity conservation efforts, Chestnut Nature Park has been planted up with native tree species. Examples of these native tree species are the Braided Chestnut (Castanopsis inermis), Singapore Walking-Stick Palm (Rhopaloblaste singaporensis) and the Jelutong (Dyera costulata). These native tree species will allow animals to thrive by improving the ecological connectivity between green spaces so that animals may move around safely. As a shared community space for different users, visitors to Chestnut Nature Park can look forward to a range of recreational activities such as hiking, mountain biking and bird watching. Chestnut Nature Park is the first nature park in Singapore to have separate mountain biking and hiking trails. Visitors to Chestnut Nature Park can also find amenities such as shelters, pavilions, information mapboards, toilets, hiking as well as mountain biking trails. Park users can also look forward to a kiosk where they can rent and wash bikes as well as buy pre-packaged snacks. 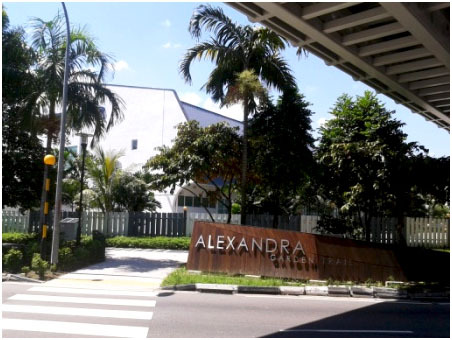 Located along Chestnut Avenue and is abutting Central Catchment Nature Reserve, stretches along BKE, from Gali Batu Flyover to Dairy Farm Flyover. PUB Waterworks is situated at the end of Chestnut Avenue, demarking the access road across the middle of Chestnut Nature Park. For public safety, please do not enter the nature reserve and forested areas during stormy weather, as such inclement weather may cause trees and branches to fall. Do note that when planning to go outdoors, you may dial 65427788 for weather forecast. For directions on how to get to Chestnut Nature Park, view this clip. By MRT - Alight at Pending LRT. Walk towards Bukit Panjang Hawker Centre, walk past Kim San Leng Coffee Shop. Head towards Blk 276 Bangkit Road, leading to Zhenghua Park. Take the tarmac track leading to Zhenghua underpass to get to Chestnut Nature Park. By Car - Chestnut Nature Park’s car park is sited near the eastern end of Chestnut Avenue. If you’re coming from the north (e.g. Bukit Panjang), drive along Petir Road and turn left at Chestnut Avenue. If you’re coming from the south (e.g. Dairy Farm), drive along Petir Road and turn right at Chestnut Avenue. After turning, drive for about 1.5km along Chestnut Avenue and you will arrive at Chestnut Nature Park’s carpark on your left. Globally threatened species such as the Straw-headed Bulbul and the Brown-chested Jungle Flycatcher, as well as species such as the Banded Woodpecker, Orange-bellied Flowerpecker and Little Spiderhunter can be spotted. For more details on the flora and fauna that can be found, please click here. 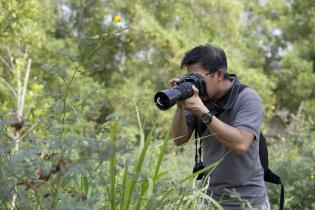 Photographers are encouraged to hashtag #nparksbuzz when sharing photos. of hiking trails in the entire nature park to 5.6 km. The 8.2 km mountain biking trail at the fully completed Chestnut Nature Park comprises varying levels of difficulty ranging from easy, moderately difficult, very difficult and extremely difficult. A type of mountain biking skills training area, a pump track consists of a circuit of banked turns and features designed to be ridden by riders via up and down body moments, or "pumping". Chestnut Pump Track caters to riders of all skill levels to practise and to advance their techniques within a controlled environment. The pump track is uniquely designed with four subsections, one easy area, two intermediate areas, and a fast bowl that can be ridden collectively as one, when needed. The pump track is best enjoyed with a jump specific hard-tail mountain bike. Appropriate safety gear, including a helmet, is a must when using the pump track. Chestnut Bike Park is an area for seasoned mountain bikers to advance their biking skills, and to practise techniques for technical features, like drop offs and jumps. It consists of four progressive skills lines and a skills area. The bike park is best enjoyed with a full suspension mountain bike. Do take responsibility for your own personal safety and use the bike park at the level you are comfortable with. Appropriate safety gear, including a helmet, is a must when using the Bike Park. 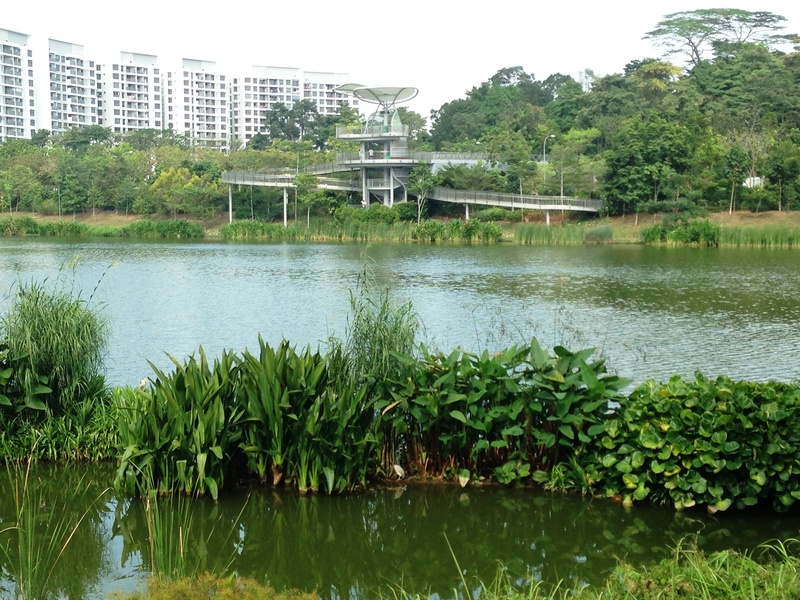 Yishun Pond Park is a quiet and peaceful place for healing. 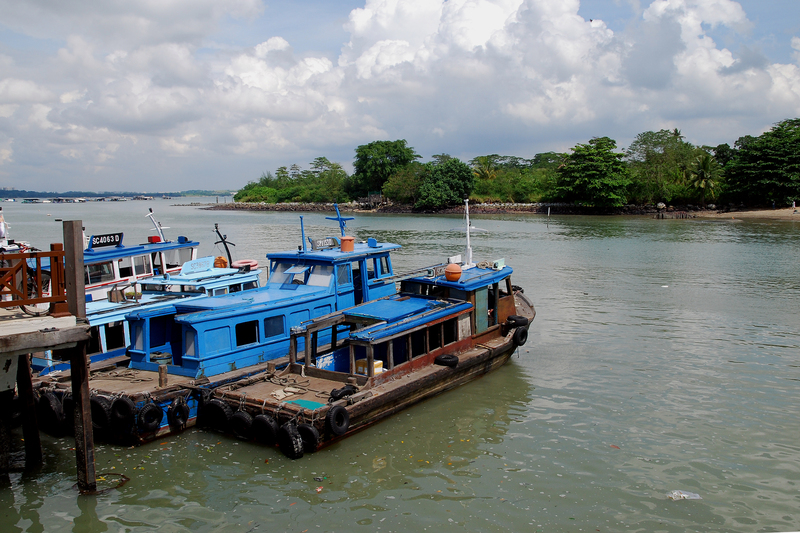 A trip to Pulau Ubin is a throwback to Singapore in the 1960's. The island is home to Singapore's last villages or kampongs, and there are still about a hundred villagers living here.